Even though summer is ending, fun in the pool doesn’t have to! If your children are anything like mine, their confidence in the water grew exponentially over the summer. We’d love to keep that momentum going throughout the school year. These facilities in the western suburbs all offer indoor swim lessons. 6 months old seemed to be the most common age for beginners, with some companies starting as early as 3 months old. Many schedules for indoor swim lessons schedules are online, or you can call the facility to confirm availability. This article is sponsored by Goldfish Swim School in Burr Ridge and the featured listings. Goldfish Swim School provides swim instruction to children ages 4 months to 12 years-old in a unique setting with highly trained instructors and small class sizes (max 4:1 student to teacher ratio). The pool water is kept at 90 degrees while the air is 92, so your kids will be comfortable both in and out of the water. The other wonderful aspect of the facility is that it does not reek of chlorine! They have a state-of-the-art water purification system and the chlorine level (while great at keeping the pool clean) is mild, which I really appreciate. In addition to swim lessons, Goldfish Swim School Burr Ridge also offers weekly Family Swims and birthday party packages. 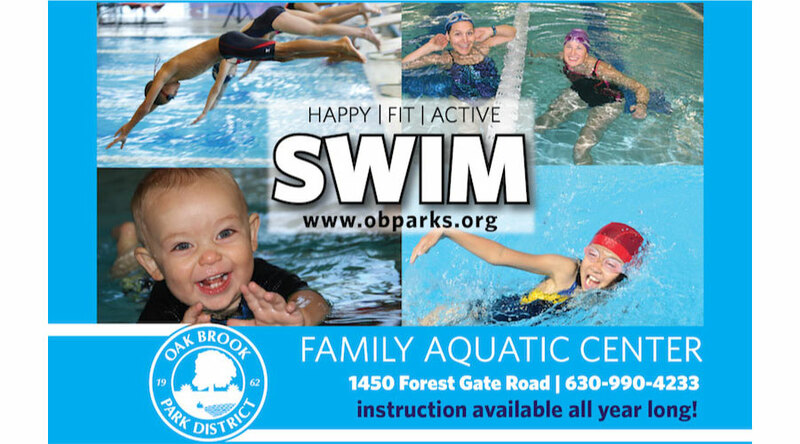 The Oak Brook Park District offers year-round recreational, instructional, and swim opportunities for all ages and all levels at the award-winning Indoor Family Aquatic Center. The innovative facility features two separate bodies of water and a spa. Tot and parent/child lessons are held in the 0-depth entry leisure pool, which operates at warmer temperatures, making lessons more comfortable for younger children. The brand-new Inclusive Family Locker Room allows your whole family to get ready for swim lessons together with a fully accessible, private shower area. Whether you’re looking to bond with your infant, or improve your own swimming skills, the Oak Brook Park District’s progressive instruction will accommodate any skill level! To find a swim lesson, visit www.obparks.org. Locations in Bolingbrook, Elmhurst, Hillside, Naperville, and Oak Brook. Lessons begin at 3 months old. Swim team and adult classes available. As parents, keeping our children safe is always top of mind. 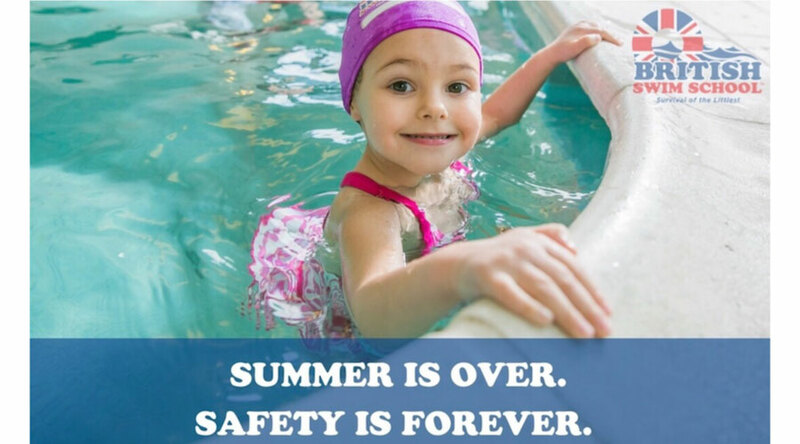 At British Swim School we firmly believe teaching children how to swim is one of the best tools we can give them to keep them safe in and around water. Swimming takes lots of practice and consistency is crucial to achieve best results. Don’t let the changing seasons keep them from learning! We love what we do and have lots of fun sharing it with our students. We teach babies, children, and adults from water survival skills to stroke development to swim team. Whether you are looking for private or small group classes, we are your Swim School. Visit us @ BSSChicagoSuburbs.com or call us @ 630-833-8145 to complete your enrollment! Lessons begin at 4 months old. Swim team also available. Sit back, relax and let our AT-WSI certified instructors welcome your little ones into our inviting 90-degree pool. Watch as they splash and giggle their way through 8 levels of swimming mastery with proven Aqua-Tots curriculum, 27+ years in the making, and trusted worldwide. If your Aqua-Tot is still too little to swim independently, don’t worry! We offer parent/infant and parent/toddler classes for both you and baby to bond as early as 4 months old. 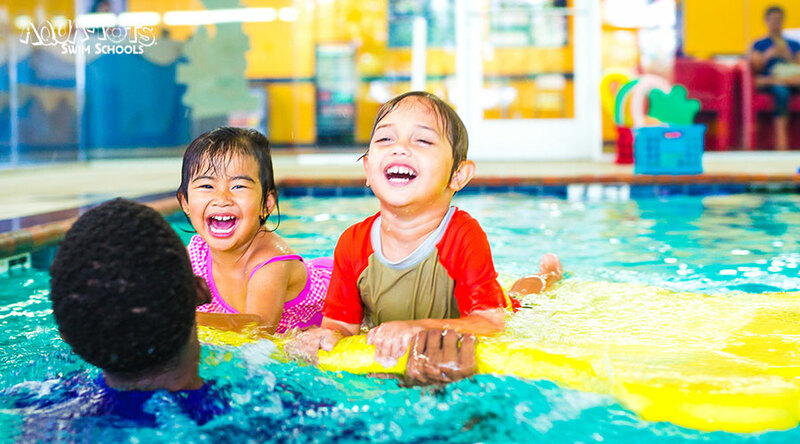 Aqua-Tots is a safe, fun and instructional way to let your little one burn off some cabin fever while developing the life-saving skills they need to remain safe in and around the water. After all, water is year-round. Swim lessons should be, too! Group and semi-private lessons begin at 3 months old. Adult lessons available. 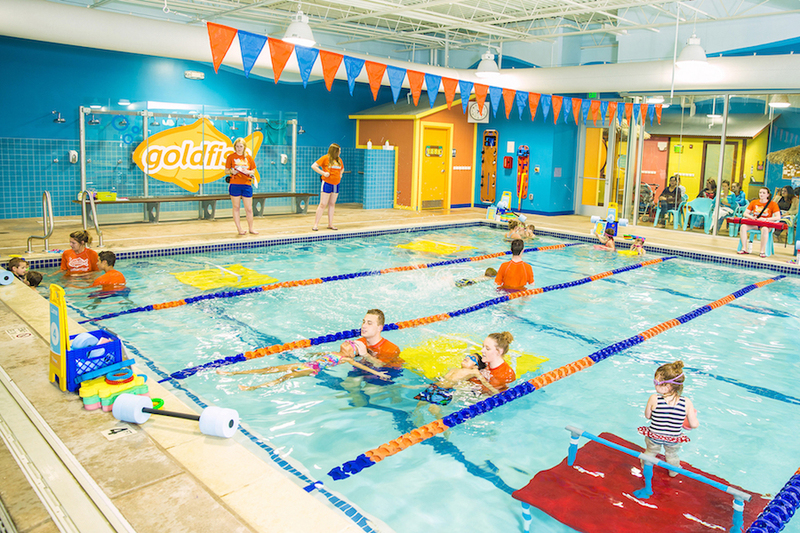 Other than the Burr Ridge location described above, Goldfish Swim School is also in Elmhurst, Glen Ellyn, and Naperville. Group or private lessons begin at 4 months old. Swim team and adult classes available. Group lessons begin at 6 months old. Semi-private and private lessons also available. Private and group lessons begin at 6 months old. Adult lessons also available. Lessons begin at 6 months old. Swim club and adult lessons available. Private or group lessons begin at 6 months old. Lessons begin at 6 months old. Group or private lessons begin at 6 months old. Swim team and adult lessons also available. Our Sports Guide is filled with more classes and teams your kids will love! Be the first to comment on "Indoor Swim Lessons in the Western Suburbs"